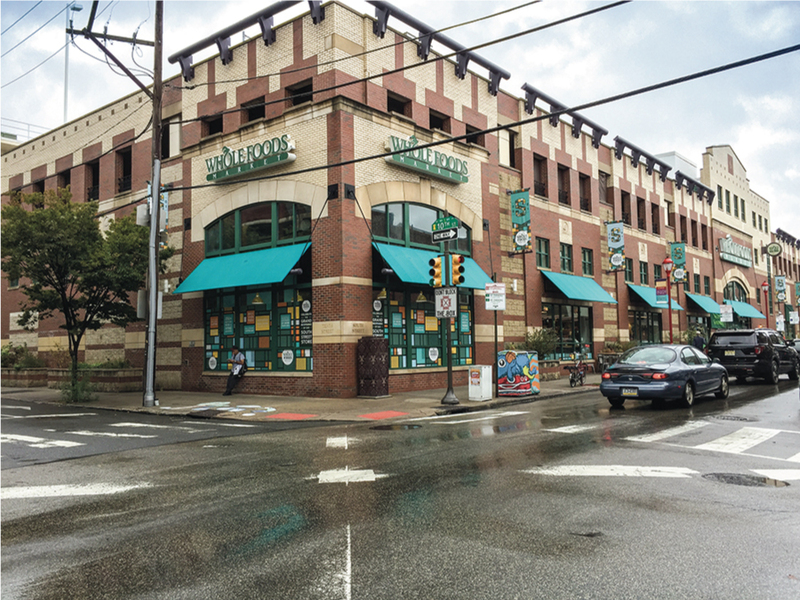 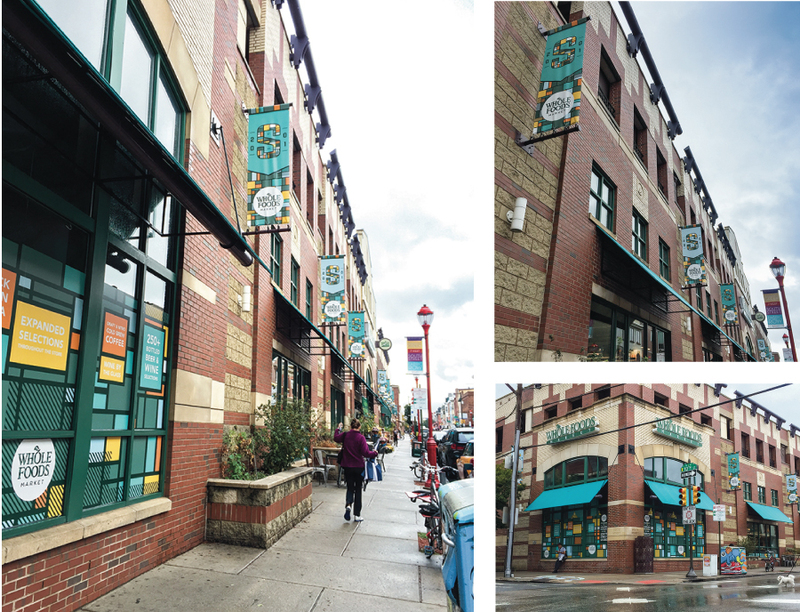 In conjunction with its Grand Reopening, new banners and clings were designed to reinvigorate Whole Foods Market South Street’s exterior facade. 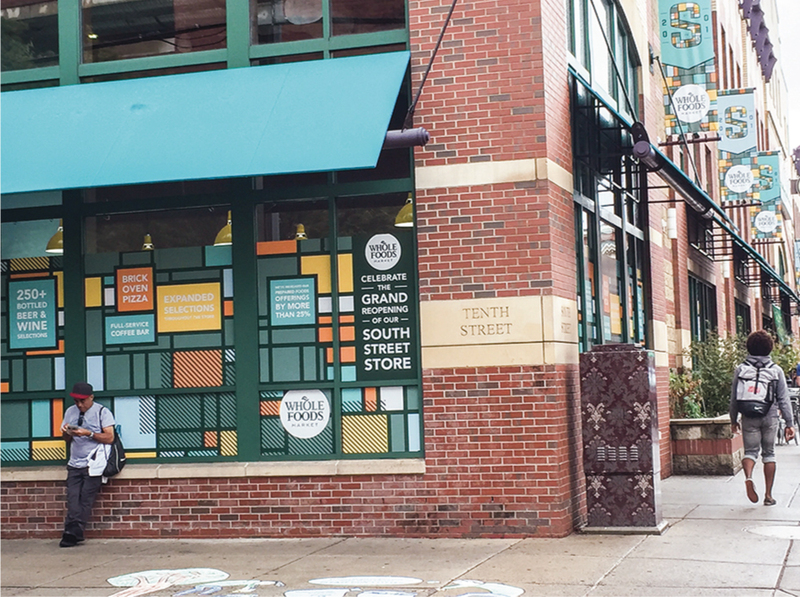 The clings were created in two sets to be more versatile and cost effective. 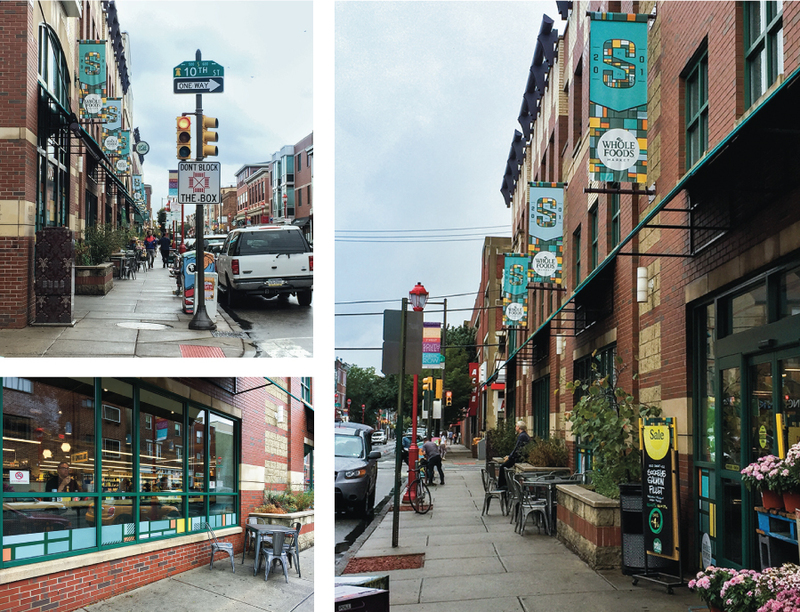 The upper set was designed to be in place for the first month after the store’s renovation to temporarily promote the store’s interior revitalization, while the lower set was printed on permanent material to sustain the updated look and feel of the South Street store. 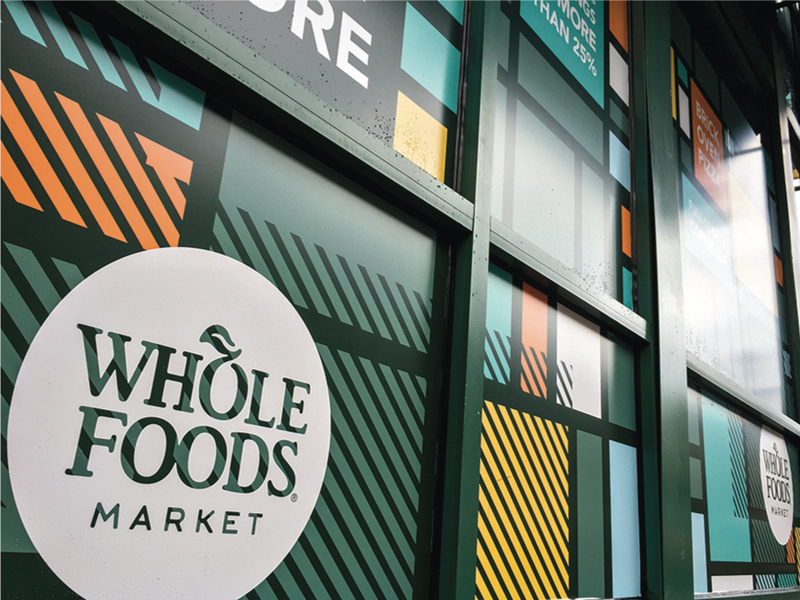 Banners were also created in alternating colors to compliment the bright palette reminiscent of mosaics from the local community and featuring geometric designs reminiscent to a map of Philadelphia’s city streets.